Is The JBL EON ONE Portable All-in-One Linear-Array 6-Channel PA System As Convenient As Advertised? The JBL EON ONE Portable PA System has a lot of immediate appeal to all those that want to take the next step in their music career. It promises great sound, volume and performance with a small, portable set-up. There is is a built-in 6-channel mixer with EQ and a strong bass. The makers promise that it will suit those looking for a convenient form of amplification for small performances, parties and conferences. Does it live up to user expectations? 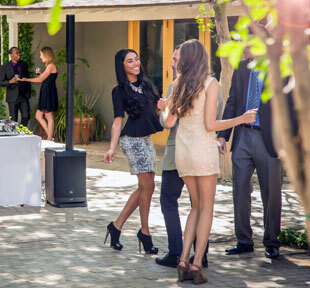 The pros and cons of this JBL PA system. there are also problems with the disassembly process. 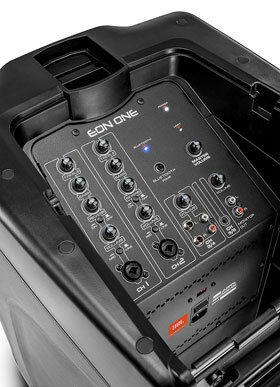 There some great benefits with this JBL EON ONE for those that want to play to small venues. The first benefit here is the ability to reach out to a large enough audience. The projection of the sound, and the volume on this speaker system, mean that users can fill a room pretty well. Musicians and speakers can’t expect to play anywhere too big. Still, it works pretty well in a small venue of around 250-300 people. This means coffee shops and small clubs, rather than arenas. Most users will find that this is a great tool for musicians, mostly singer-songwriter with a simple set up. The other possible purpose is to amplify music at party. This is where the Bluetooth connectivity for mobile devices comes in useful. 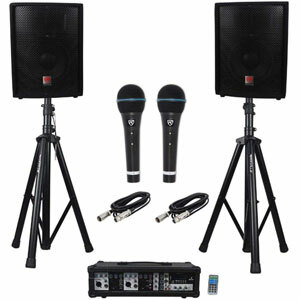 This projection of the music and speech is enhanced by the good clarity of sound with the vocals and other outputs. There is a sense of quality that adds to the performance of newcomers on that smaller-venue circuit. This can also build some confidence. This clarity and quality is said to be the result of the company’s “patent-pending” linear-array configuration. The quality of the sound then continues with the bass and equalizer. 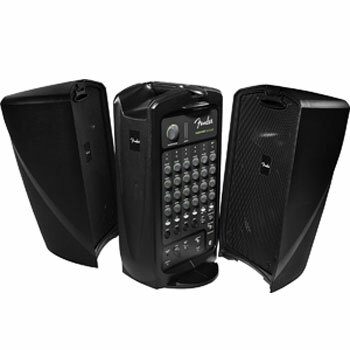 This system has a 10” bass-reflex subwoofer that is said to provide an accurate low-frequency response. Most users are impressed with that response, as well as the ease of use. Unfortunately, there are two sales promises with this JBL EON ONE Portable PA System that just don’t ring true. The first problem is that this is not as portable as some had hoped. The specification talks about a “true” all-in-one design that users can easily “carry with one hand”. There are some that say that this is far too heavy for that, and needs an additional trolley to wheel it into place. The weight is stated as 40lbs on the specification, and a few users would swear that it is actually higher than that. Also, while the height of speaker stack is adjustable, the tall stack isn’t the most compact of shapes. The other promise here is that users should be able to “set up or break down the Eon One in seconds”. This is far from the case for many. There are warnings from different users about lubricating all the pieces when first assembling it. Those that didn’t had big problems getting it all to disassemble afterwards. Users should also be aware that there is the Eon One and Eon One Pro. The pro is a slightly different model that adds in a rechargable battery. That is not this model, so don’t be disappointed on finding that this isn’t a feature. 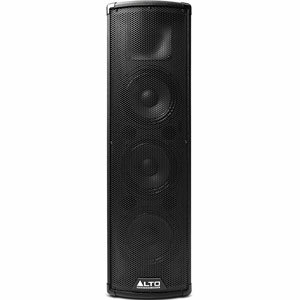 What does mean when recommending this JBL EON ONE PA other musicians? This all means that this is still recommendable to those that want to play to small audiences. It isn’t going to reach much further than 250 to 300 people, but it has great potential in small settings. The clarity, bass and equalizer can all help new musicians ensure that they are heard in noisy plazas and small festivals. There is some clear room for improvement with the assembly and the weight. A few tweaks here, or some improved transportation features, would mean that this PA had a higher rating. As it stand, this JBL PA system still has a lot of potential for the right user. 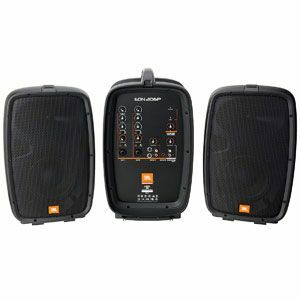 Find more reviews about the JBL EON ONE Portable PA System on Amazon here.